Thomas Cook is the UK's favourite travel agent providing top quality service & amazingly low priced holidays, hotels, flights and cruises. Whether you are looking for the best priced beach hotel on the market, a couples retreat away, city break or all-inclusive family holiday, Thomas Cook have the right deal with you. The Thomas Cook name has been associated with travel since 1841 and by continuing to lead the way in terms of what a public expects from their favourite travel agent, it means that booking your next package holiday or hotel stay can be done in confidence. Spring is the perfect season for a city break. Too early for a summer holiday, too late to go skiing, March through May is the time of year for a short weekend away. And who better to go with than Thomas Cook? The UK’s favourite travel agent offers great deals on flights and hotels in an array of European cities. From soaking in the culture in the streets of Budapest to the pumping nightlife of Berlin, there’s something for everyone with Thomas Cook city breaks. If you’re quick, you can grab a deal that includes return flights and three nights in a hotel for £99 per person. These deals are available for selected dates in March. Spring is also a great time to catch some of Europe’s most exciting celebrations. Take a trip to Dublin, and drink Guiness straight from the source this St Patrick’s day. Pack your green clothes, head to world renowned Temple Bar and lose your mind on craic on 17th March. Or, for something more suited to families, fly to Rome on 19th March for Saint Joseph’s Day — a traditional Catholic celebration that happens over lent. The Italians put on a massive parade with a huge feast. And all the dishes are meatless, so it’s perfect for veggies. If you want to go further than Europe, Thomas Cook are also offering city breaks to US cities like New York. With distinctly freezing winters and hot summers, the spring months offer the optimum temperatures to explore the city’s unbeaten choice of museums and art galleries. Desperate for some vitamin D after the long winter months? Relax on the beaches of Dubai, where the temperature average 25-30°c during the spring. 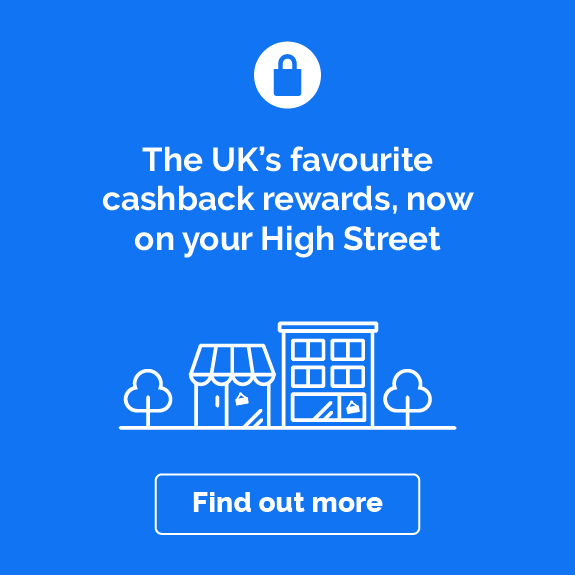 Wherever you decide to take your spring break this year, follow the links on this page to the Thomas Cook site and you can earn cashback on your holiday. Planning a wedding can be a stressful experience, especially when you’re planning to have it abroad. Not, however, when you book it through Thomas Cook. Book your wedding abroad with the UK’s favourite travel agent. Just choose your destination and preferences, and they’ll take care of the flights, hotels, ceremonies, and even the cake. Whether you’re having your wedding abroad or not, a honeymoon is going to be on the cards either way. Thomas Cook can fly and accommodate you to a whole host of beautiful and sun-kissed places. Weddings abroad and honeymoons are not known for coming cheap, so book through Thomas Cook via the cashback links on this page. Take the weight off your shoulders by letting Thomas Cook organise your wedding for you. It’s really simple. First, you pick your destination. Thomas Cook have transport and accommodation in tons of luxurious places around the world. Say your vows among stunning European architecture in a chapel with a Mediterranean view. Or, head down to Mexico for a picturesque wedding on the beach, then nibble on some spicy Mexican dishes. After you’ve picked your destination and other requirements, get your guest list sorted. Although you may only want close friends and family there, note that the longer your guest list, the more likely you’ll be eligible for group discounts. With these wedding packages, the Thomas Cook wizards are on first-hand contact to ensure that everything is going smoothly on your big day. Along with the flights and accommodation, Thomas Cook also sort out the wedding venue, bridal bouquet, groom’s buttonhole, the wedding and even sparkling wine for the reception. It may sound too good to be true but there are some places in the Carribean that will even give you a free wedding reception. We’re not joking. Thomas Cook will host you in a hotel, and the reception will be on the house. This requires that you have a certain number of guests and a certain number of nights booked. If you’re not planning to have your wedding abroad, but want to be whisked away to sunnier climates after your UK-based wedding, then head to Thomas Cook for all your honeymoon needs. Whether you want to celebrate your new marital status close(ish) to home, or if you want to travel to the other side of the globe, Thomas Cook have flights and hotels in destinations that will suit every taste and budget. Head to Cyprus and enjoy Mediterranean coastlines. The compact island boasts beautiful nature and sun-kissed beaches. It’s also the home of goddess of love, Aphrodite — and if that doesn’t make you want to take your loved one, then we don’t know what will. Whether you’re booking your wedding abroad or organising your honeymoon, browse Thomas Cook flights, hotels and packages. 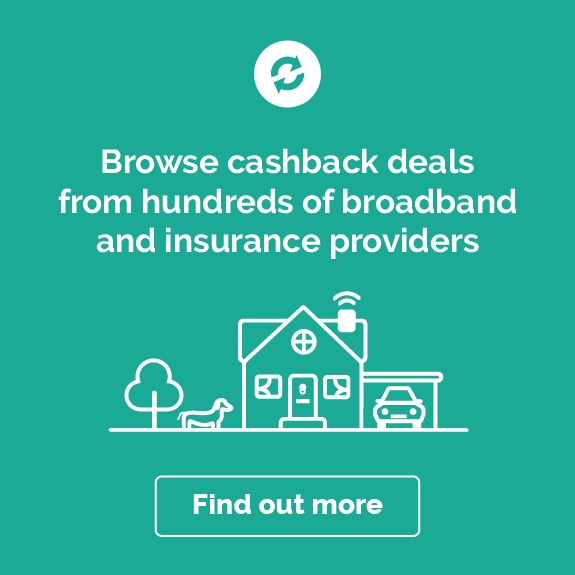 Every penny counts when it comes to buying for weddings and honeymoons, so be sure to follow the cashback links from this page, so you can earn money back on your holiday. 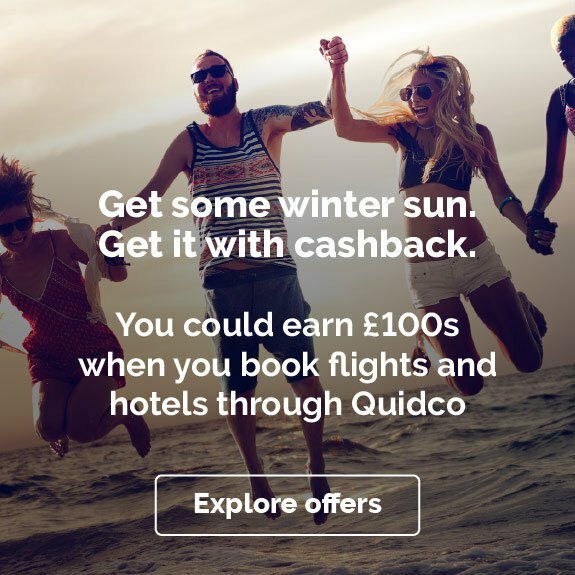 Come rain or shine, you can make big savings on all of your Thomas Cook purchases all year around with Quidco’s cashback offers. To find out how you can make the most of your cashback with Thomas Cook check out some of the ideas below. When the nights get longer and the weather a bit more unfriendly, it is just the right time to book in your winter holidays with Thomas Cook. The best period to do this is the winter travel sale period, when many winter holidays go for a fraction of their original price. No matter if you are looking for some additional vitamin D to get you through the British winter, if you need some time away to recharge your batteries, or if you are looking for some activities to work off a few too many mince pies you enjoyed over Christmas, the sale period starting in January is one of the best times to book your next trip. Just as they do every year, Thomas Cook is at the forefront of the sales, offering stunning winter breaks to make your winter vacation extra special. 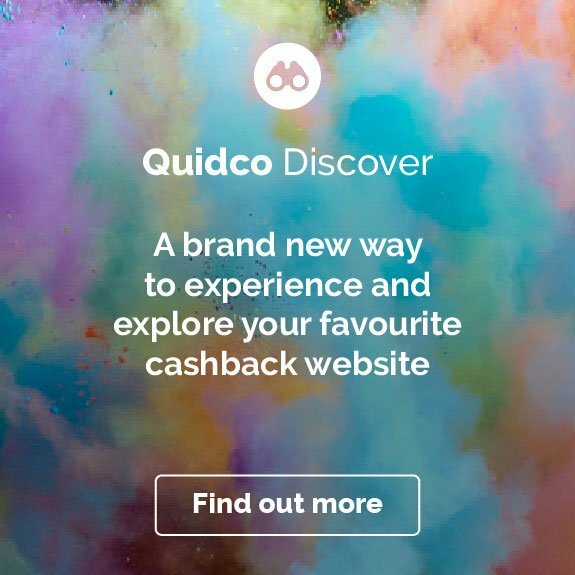 With Quidco’s cashback on Thomas Cook purchases, you can earn extra on top of your savings with their winter breaks – just follow our links to Thomas Cook’s website and browse their winter sale section. January, Febuary and March are the best months to slip away and jet off into the sun. Why? Because prices for winter sun holidays are nearly unbeatable. With Thomas Cook you can design your dream holiday starting with the duration, destination and the type of accommodation. Are you looking for a laid-back type of holiday where you don’t have to worry about anything, apart from how you get from your bed to the beach or the pool and which drink to have with your burger? Then an all-inclusive holiday would be the right choice for you. This is by far the most popular type of holiday in Thomas Cook’s winter sun repertoire, but you also have the choice to opt for half board or room only. With their smart filtering options, you can be the creator of your own dream holiday. When it comes to winter sun destinations, Thomas Cook will clearly spoil you for choice. Whether you are ready to go on a longer flight or prefer mid-haul, they have plenty of destinations on offer that will treat you to some extra sun. Winter holidays on the Canaries, in Egypt or Greece never seem to disappoint. The climate is mild, the sun is plenty and beaches are not too crowded. Just the perfect winter vacation to unwind and relax. If you are game for a longer flight and maybe have a week or more of holidays to spare, why not look for winter deals to destinations like Goa or the Maldives? 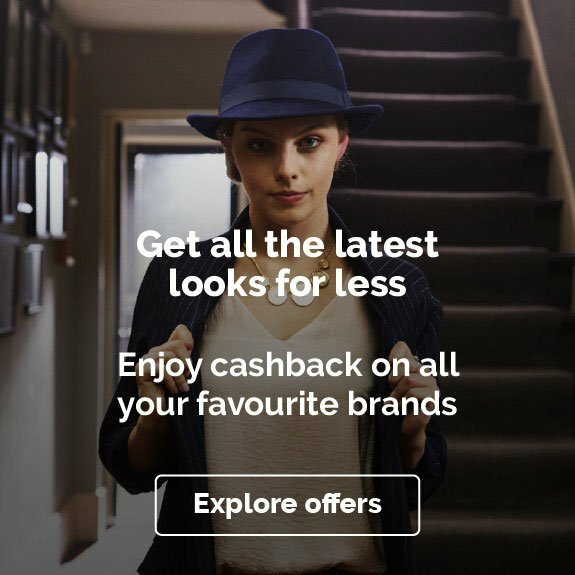 With Quidco’s cashback on Thomas Cook winter vacations, you can even earn some cashback on top of the fabulous savings that you make on their winter sale.